What is bullying? A common image of bullying might be of a physically intimidating boy beating up a smaller classmate or of one child shoving another inside a hallway locker but bullying can also occur quietly and covertly, through gossip or on a smart phone or the Internet, causing emotional damage. The behavior hurts, humiliates, or harms another person physically or emotionally. Those targeted by the behavior have difficulty stopping the action directed at them, and are likely to struggle to defend themselves. There is also a real or perceived “imbalance of power,” which is described as when the student or other person with the bullying behavior has more “power,” either physically, socially, or emotionally, such as a higher social status. The behavior is repetitive; however, bullying can occur in a single incident if that incident is either very severe or arises from a pattern of behavior. In the next 7 minutes, a child in this country will be bullied. It may be the son or daughter of one of your friends. Even worse, it may be your own child. Meanwhile, only 4% of adults will step in to stop it and only 11% of the child’s peers may do the same. The remaining 85% will do absolutely nothing, often for fear of reprisal. Bullying takes many forms, ranging from the seemingly innocent name-calling to the more harmful cyberbullying and also to severe physical violence. 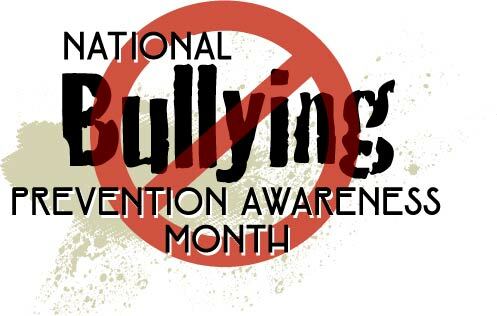 Bullying happens everywhere, anytime, and is often directed at our most vulnerable children, especially those who are obese, gay, disabled or have a different skin color. Moreover, the physical, emotional and psychological harm bullying imposes on its victims is known to contribute to negative socioeconomic outcomes. The Association for Psychological Science recently found that children who are bullies, victims or both are more likely to experience poverty, academic failure, perpetrate a crime, and often abuse drugs and alcohol. There were over 1.1 million visits to NoBullying.com in March 2016 by people seeking help with bullying and related topics, according to Google Analytics. 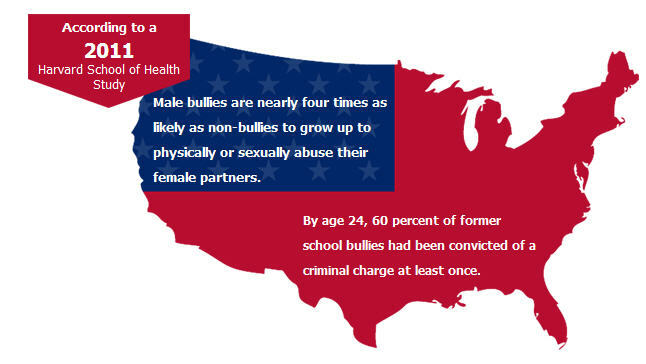 Victims of bullying had higher rates of criminal conviction. More than 20 percent of those who were bullied throughout childhood and adolescence were convicted of crimes, compared with 11 percent of non-victims. Sixteen percent of individuals who experienced childhood bullying up to age 12, were convicted of crimes, with 13 percent of victims who were bullied during adolescence (from age 12 to 18) experiencing similar legal outcomes later in life. We know that bullying behavior and suicide-related behavior are closely related. This means youth who report any involvement with bullying behavior are more likely to report high levels of suicide-related behavior than youth who do not report any involvement with bullying behavior. We know enough about the relationship between bullying and suicide-related behavior to make evidence-based recommendations to improve prevention effort. We don’t know if bullying directly causes suicide-related behavior. According to Hertz, Donato and Wright there is a strong correlation between bullying and suicide related behaviors. The relationship is often influenced by factors like depression and delinquency. Those who were bullied in their childhood or early teens were more likely to contemplate suicide and even attempt it. http://covenant5.org/Anti-Bullying.html – Your link to the Bullying section of the Disability Awareness website. At this site you will find a multitude of resources, general and congregational, a historical background of legislation and other action taken against bullying. 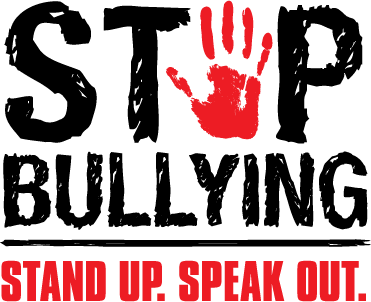 As baptized members of the Jesus Movement, we are all called to speak out against injustice and that means speaking out against bullying. Do you know the policies in your school district? Do the children in your family, neighborhood, and church know where they can go for help if they experience bullying? Will you lead the discussion during your pot luck or coffee hour so that others may be informed? We are all responsible for caring for God’s children! Almighty God, heavenly Father, you have blessed us with the joy and care of children: Give us calm strength and patient wisdom as we bring them up. Help us to protect them from injustice and bullying that they may grow into the people you have created them to be. Give us a voice to speak out when they are in danger and guide us through your Spirit to offer protection and safety, that they will know themselves to be your beloved children. We ask these things in the Name of your Son Jesus because we know you love it when we pray. Amen.